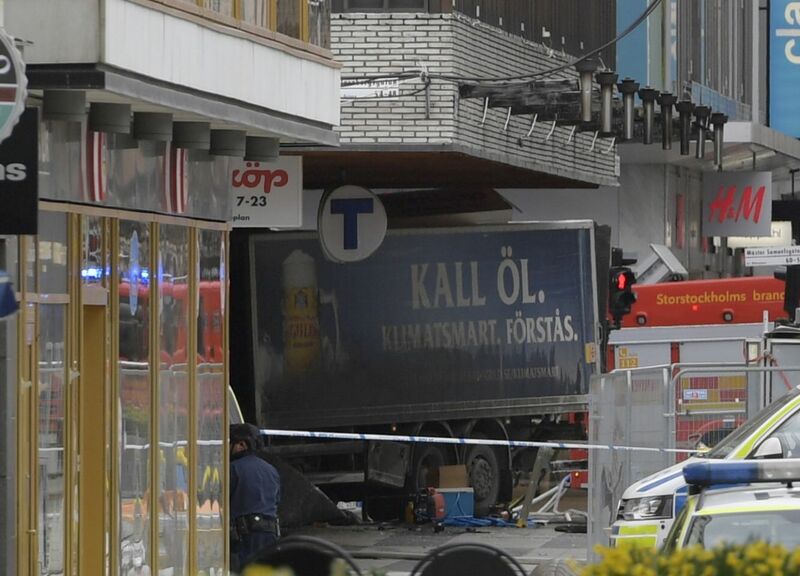 At least five people are feared dead after a suspected terror attack which saw a hijacked beer lorry plough into a crowd of pedestrians in Stockholm. 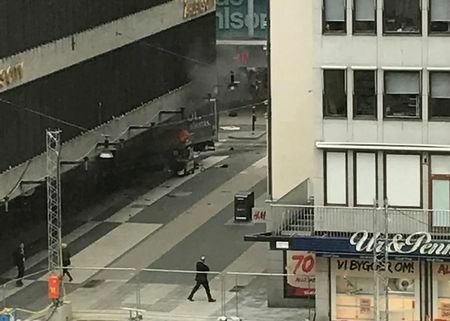 Stefan Lofven, the Swedish Prime Minister, said it appeared the crash was “a terror attack” and the country’s intelligence service confirmed there was “a large number of injured”. The Prime Minister had earlier said there had been an arrest, but the Reuters news agency is now quoting police saying no one has been detained. Reports of the incident first emerged on social media shortly after 2pm GMT. Around 30 minutes later, reports also emerged of a shooting near the site of the crash, although it has not been confirmed whether the two incidents are linked. At 3.30pm, police also ordered the evacuation of the central train station in Stockholm, according to the TT news agency. Pools of blood were visible on the street along with bodies covered in blankets in pictures showing the aftermath of the attack. Paramedics could also be seen tending to the injured near the truck. Jan Granroth told the Aftonbladet newspaper: “We stood inside a shoe store and heard something … and then people started to scream. British national Itay Lotem was nearby when the lorry ploughed into pedestrians in the centre of the city. 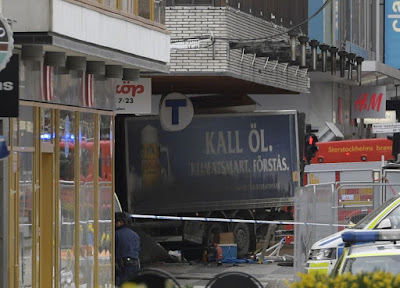 “I was sitting in a cafe, I just suddenly saw people coming in and talking about a lorry that had driven into people,” he told BBC News. 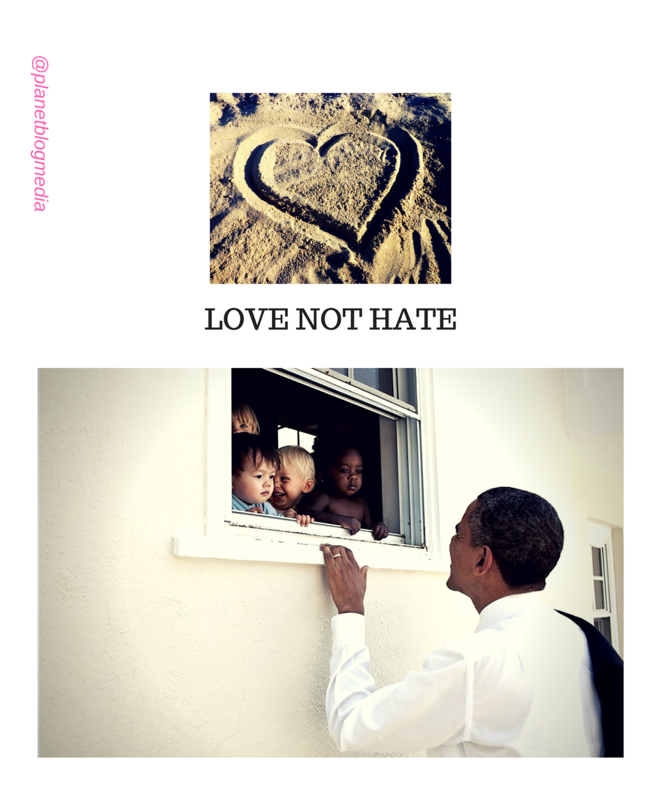 “I walked out and there were many people in that street, it’s a pedestrian street.